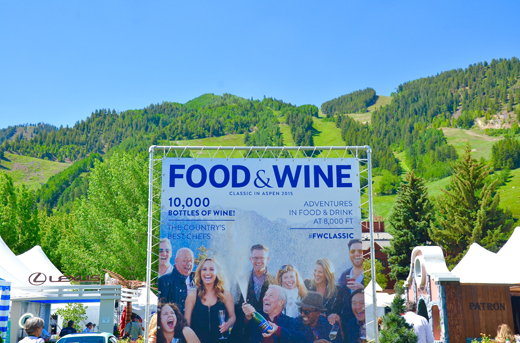 This year marked the 32nd annual Food & Wine Classic in Aspen, where celebrity chefs, winemakers and culinary enthusiasts from near and far gathered to showcase and sample tastes and sips from around the globe. The three-day event was host to more than 80 live cooking demonstrations highlighting dishes and techniques from epicurean luminaries. Chef and restaurateur Marcus Samuelsson kicked off the seminars with a demo featuring a variety of cooking techniques to utilize an entire chicken. From his signature fried yard bird to a shredded kale salad tossed in chicken fat vinaigrette, Samuelsson made use of every inch of the bird and finished his demo with a simple citrus-roasted chicken to go the “Whole Nine Yards” as his demo promised. With the morning seminars coming to a close, attendees made their way to the first Grand Tasting, where they mingled with celebrity chefs and wine experts. 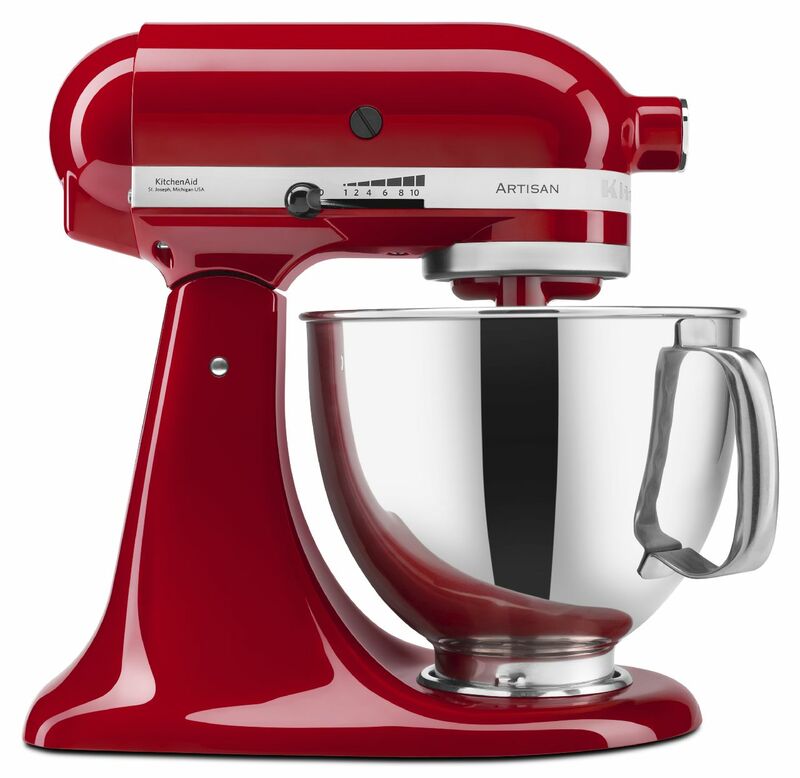 KitchenAid, a longtime sponsor of the Classic, featured a full kitchen setup of their major appliances, as well as the fan favorite display of Stand Mixers spanning every color from Majestic Yellow and Crystal Blue to Green Apple and Boysenberry. Attendees also had the opportunity to watch live kitchen demos during the Grand Tasting, as I put the KitchenAid® Pasta Roller & Cutter Set, Pro Line® Series Food Processor, 12″ Convection Bake Countertop Oven and Stand Mixer to use, whipping up homemade fettuccine, stacked ahi tuna salads, pound cake croutons and vanilla bean whipped cream. Of course a Grand Tasting wouldn’t be a true tasting without countless opportunities to snack and sip on flavors from around the globe. While it’d be difficult to name a single top taste, the Wagyu beef pastrami sandwich from Mawa’s Kitchen and Emma Farms Cattle Company proved to be a personal favorite. Los Angeles-based chefs and restaurateurs Vinny Dotolo and Jon Shook (of Son of a Gun, Animal and Trois Mec) served up flavors from the West Coast with an eye-popping plate starring seared octopus atop a bed of chili-spiced mirepoix. The freshness continued over at the Chobani setup, where Top Chef Season 1 winner and restaurateur Harold Dieterle served up spicy duck meatball sliders, and the Chobani team laid out a vibrant display of snacks, including creamy yogurt topped with smoked salmon and fresh dill. 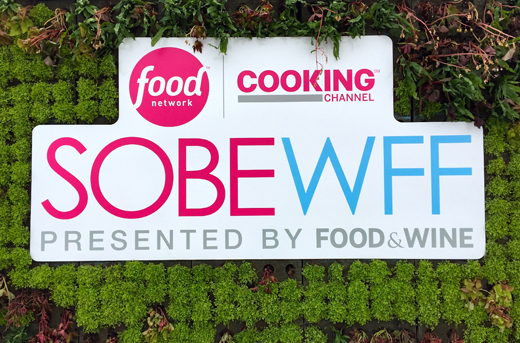 Many of the world’s most esteemed culinary talents were in attendance at the Classic, where the likes of José Andres, Ming Tsai, Michael Symon and Andrew Zimmern demonstrated dishes and techniques from around the globe. Top Chef judges Tom Colicchio and Gale Simmons shared a few of their go-to family meal dishes and then greeted attendees at an afternoon book signing held just outside the Grand Tasting tent. As the weekend came to a close, chefs and restaurateurs Tyler Florence and Curtis Stone took the main stage for the annual Classic Cook-Off. This year, the chefs were joined by celebrity sous chefs, as Florence was assisted by Hello, Ladies star Stephen merchant and Stone received a helping hand from his wife, actress Lindsay Price. The Stone Family pulled off the big win, whipping up a trio of dishes inspired by the flavors of this year’s World Cup host country, Brazil. Among the winning dishes was Curtis’ salt cod with squid ink and Lindsay’s duck egg doughnuts dusted in sugar. With the Cookoff champions crowned, attendees sampled their final tastes and sips at the last Grand Tasting before the food, wine and entertainment drew to a close Sunday afternoon against the picturesque backdrop of Aspen’s rolling mountains. 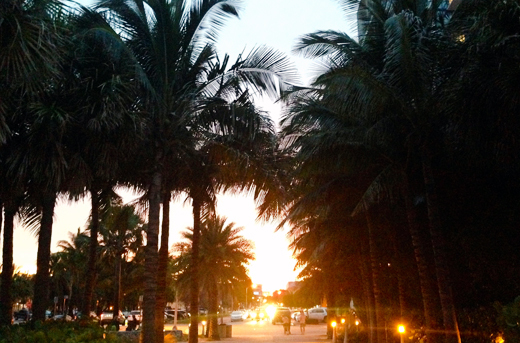 Miss the action at this year’s Classic? Mark your calendars! 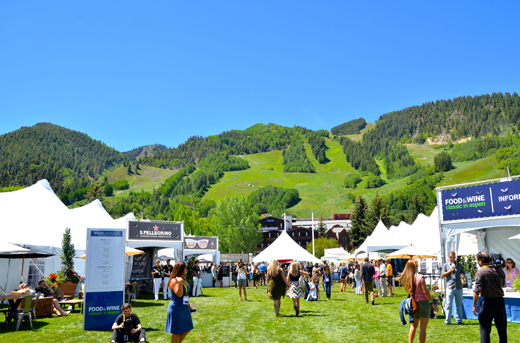 The 2015 Food & Wine Classic will be held June 19 to 21 in Aspen. 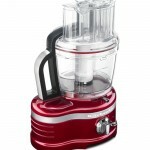 As the first residential model with hands-free, commercial-style dicing, the Pro Line® Series 16-Cup Food Processor is engineered for professional-style results. 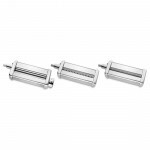 And, the revolutionary ExactSlice™ System features and external adjustable control that allows you to slice from thick to thin with one slide of a lever-without having to remove the blade or turn off the food processor. Powerful cooking elements give you the ability to bake, broil, roast and toast up to 450° F—just like a big oven. And, the large capacity easily accommodates everything from a full roast chicken to two 12-inch pizzas.